There are quite a few attributes of the 2017 Nissan Micra SR that would strike you as pleasantly out of place. Nissan is known for its compact cars with low profiles. While compact sizes and low seat heights work very well for those who are not on the taller end of the spectrum, the reasonably large driver does have some issues. That is not the case with 2017 Micra SR. One does have to get down to the seat but it is adjustable so both short and tall drivers would have an ideal positioning. 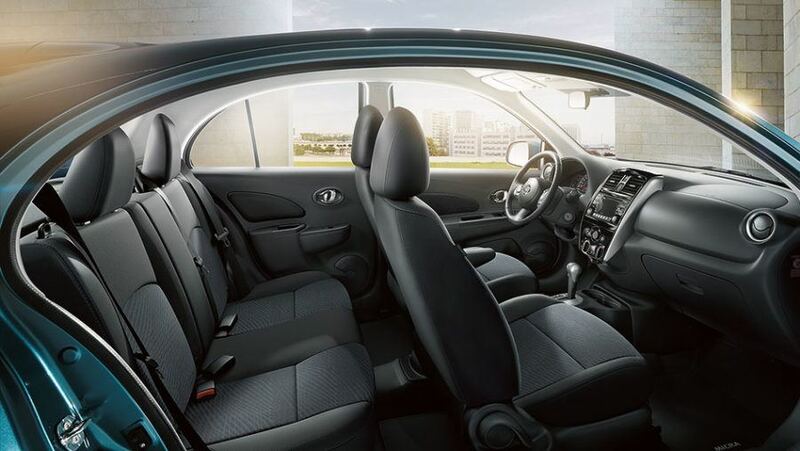 The headroom is ample for the driver, front and rear passengers. One doesn’t have to keep bumping into the headliner. One wouldn’t kick the gear lever or the centre stack. These are some really cool accomplishments in of Nissan in the Micra SR given its compact size. 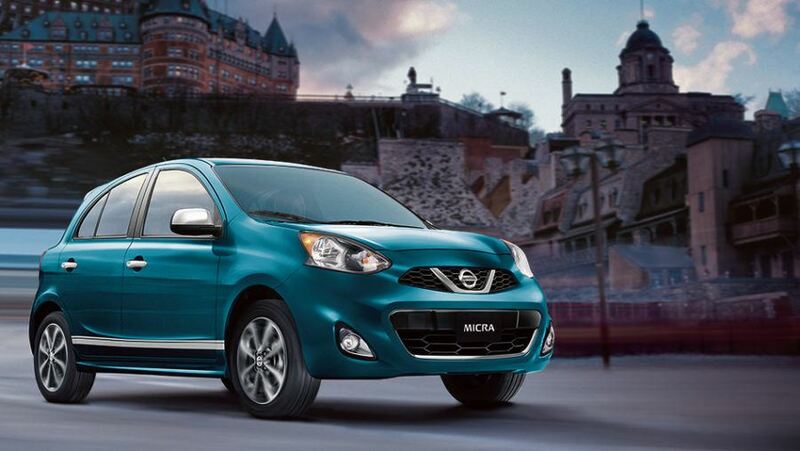 The latest Nissan Micra SR features a 1.6L DOHC engine. It has a rating of Tier 2-Bin 5 by EPA and LEV2-ULEV by CARB for its emissions. The 2017 Micra SR features a dual injector system, CVTCS on intake & exhaust valves, platinum-tipped spark plugs and electronic drive by wire throttle. The front wheel drive comes with 5-speed manual transmission, vented disc brakes on front wheels and drum brakes on rear wheels, antilock braking on all wheels, electronic brake force distribution and brake assist. View our inventory. The Micra SR is a comfortable ride and it is not just because of the independent strut front suspension with stabilization or the torsion beam rear axle having a stabilizer bar integrated. Drivers would love the speed sensitivity and rear passengers will love the comfort. Small cars are not usually known for superior backseats. 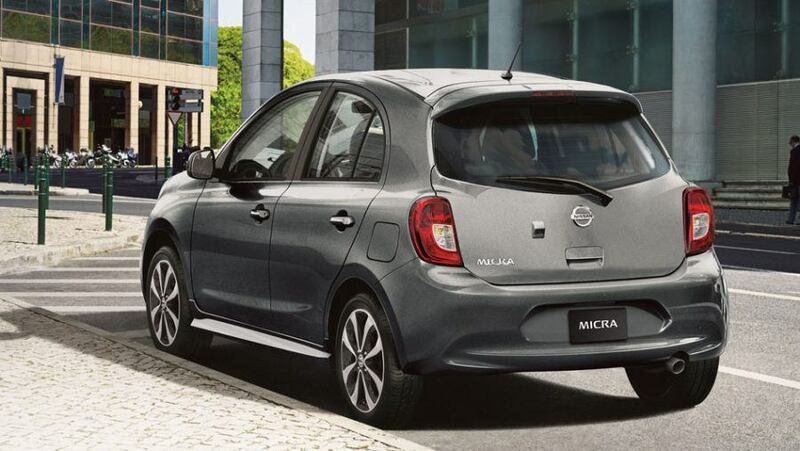 The latest Nissan Micra SR changes the rules of the game and also when it comes to cargo space. It goes without saying that such cars need the backseats to be folded down when large luggage needs to be placed in. Even then most cars struggle to accommodate large luggage weighing fifty pounds or more. Micra SR doesn’t break a sweat. 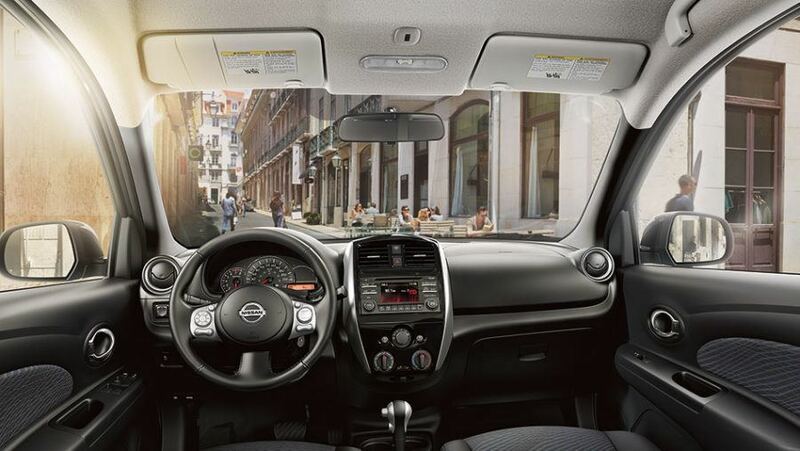 The 2017 Micra SR has aluminum alloy wheels, all season tires, rearview monitor, cruise control, rear window defroster, leather-wrapped steering wheel and shift knob, color display and audio system with four speakers. There are dual stage supplemental airbags in the front, side-impact airbags and curtain airbags mounted in the roof. The latest Micra SR has a fuel tank capacity of 41 L or 9 gals and it can deliver 8.7 L/100Km on city roads and 6.8 L/100Km on highways. If you’re in the Whitby or Oshawa area, we invite you to book your test drive at Midway Nissan today!